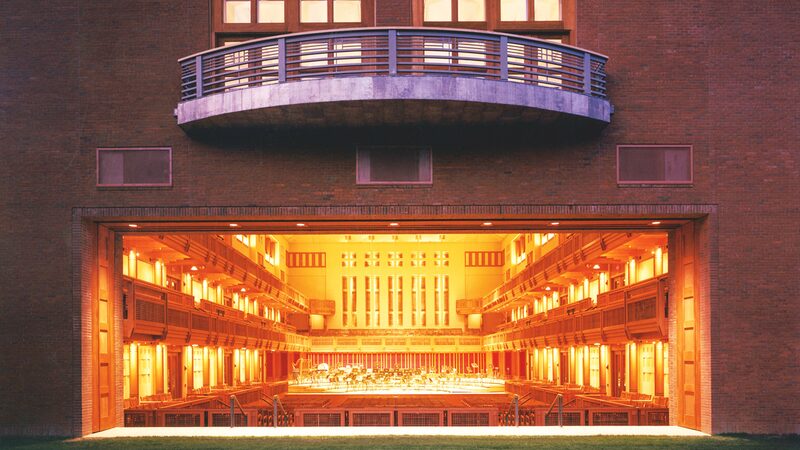 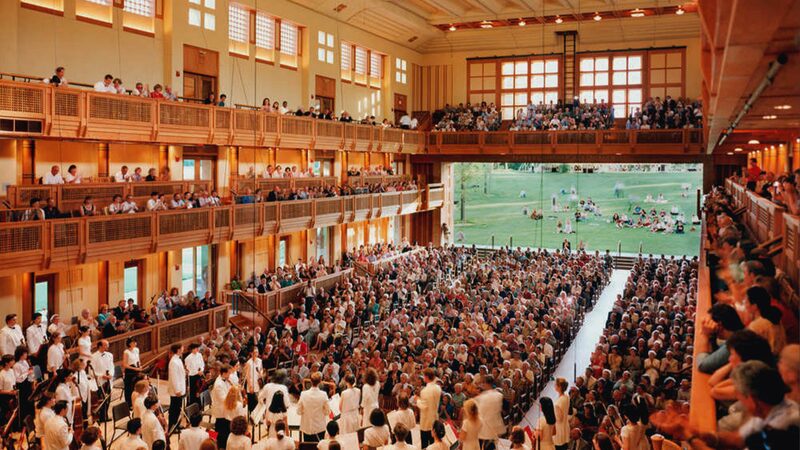 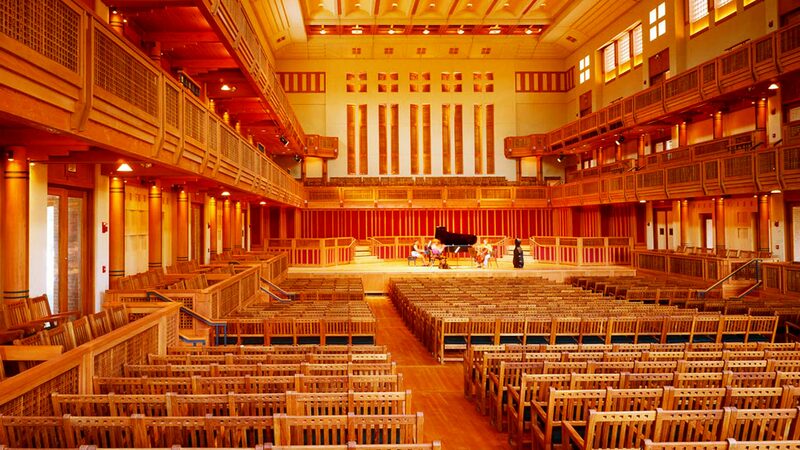 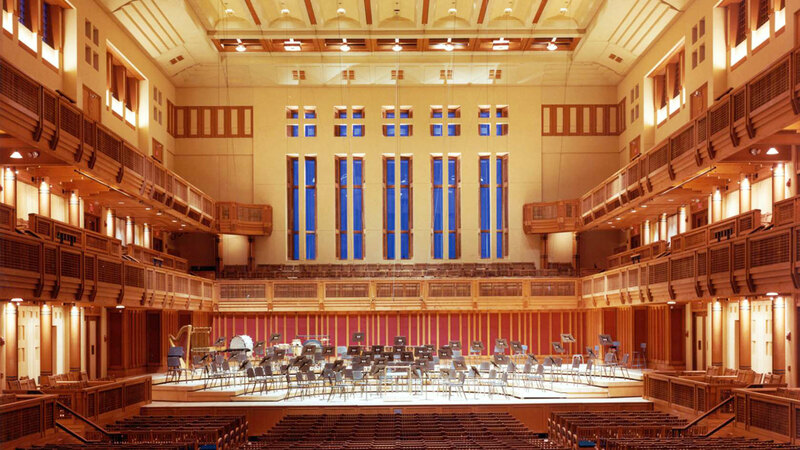 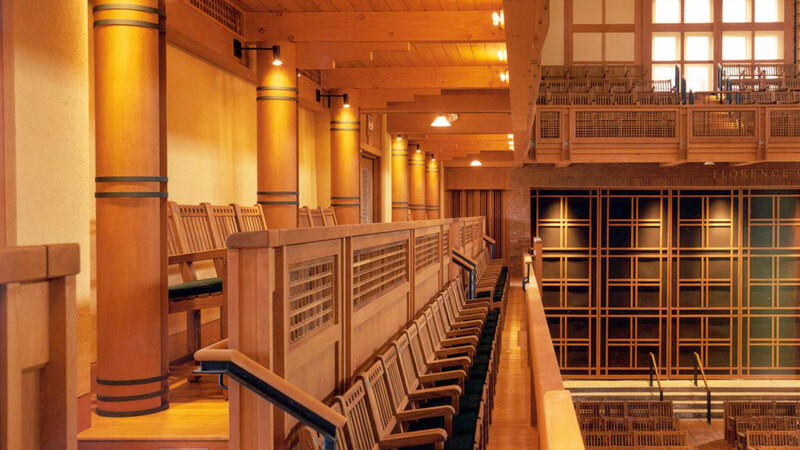 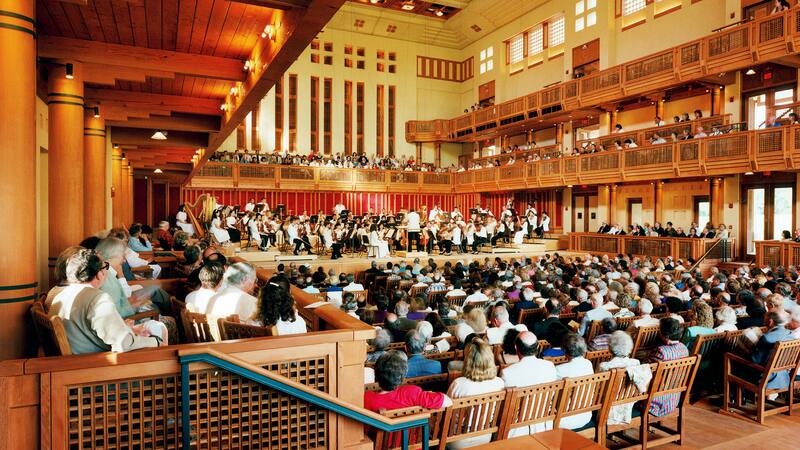 From the exterior of this premier concert hall one envisions a New England town hall, but once inside, the ubiquitous wood interior creates the warmth and intimacy of a private concert and a barrel roof achieves near perfect acoustics. 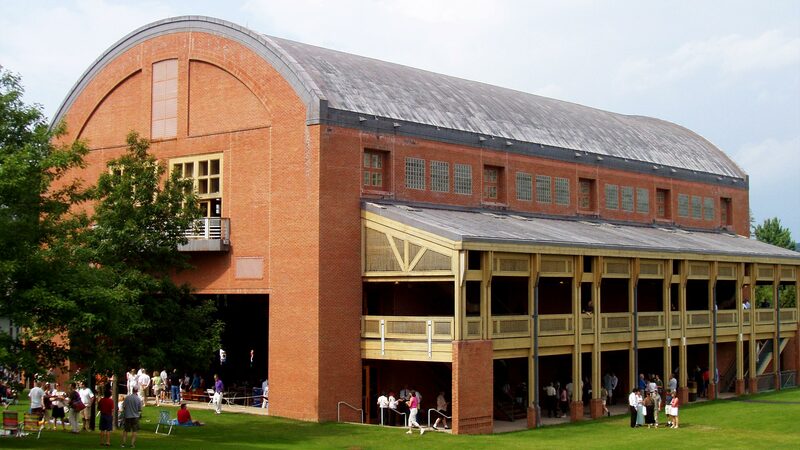 Two stories of loggias on each side provide easy access to the interior and stimulate pedestrian traffic. 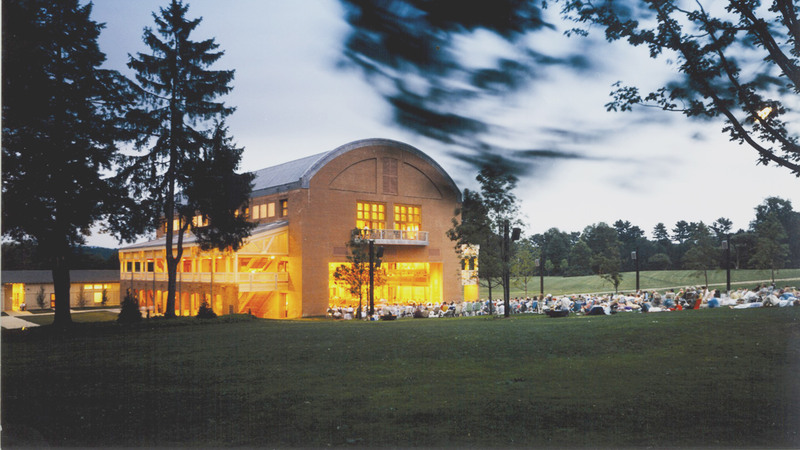 For large concerts, a 50-foot-wide “barn door” at the rear opens, spilling the music out to as many as 2,000 more spectators on the gently sloping lawn.